HEY all, I’m finally back. It’s so unbelievably nice to write again after the mid-term slump! As of now, it is about T-minus one and a half months until I launch off to Denmark! I’m extremely excited, but at the same time, terribly nervous. What is your impression of going on exchange? Do you find staying in a foreign country by yourself scary or exhilarating? Links will be provided so you can check out more related information. First, let me explain what the Co-ordinated International Experience (CIE) program is. To give you a little context, after your second year in UBC Engineering, you can choose to be part of the UBC Engineering Co-op program. Co-op coordinators work with engineering industry to provide students with job opportunities. Let’s say you get hired for a co-op term, then you work until your contract ends and return to school afterwards. After your 3rd year of school (January-May semester), Co-op opens CIE applications to attend a partner institution in Europe or Asia. The application process will take place from May to October, depending on the institution you chose. You return to school as normal for the fall semester (Sept-Dec) at UBC, and if your application to CIE is successful, you will find out what institution you are paired with in the fall. For the spring semester (Jan-April/May/June), you will be on exchange with CIE program! CIE is integrated seamlessly into your academic degree, and the courses pre-approved by UBC Co-op office will count towards your academic credit. Basically, it’s like you’re taking the same courses but in a different country. To find out more about CIE, check out this link (http://www.coop.apsc.ubc.ca/coordinated-international-experience/). Now, you may ask, “why should I apply?” And in all honesty, you are giving up a co-op work term or two to go on exchange. When I was faced with this choice, I decided that an international experience was more valuable for my future than getting paid. Yes, there are also international job opportunities, if you want to work in Germany and Japan (where most international jobs are based). For me, I wanted to be in Denmark, and it is quite hard to find an engineering co-op job there. 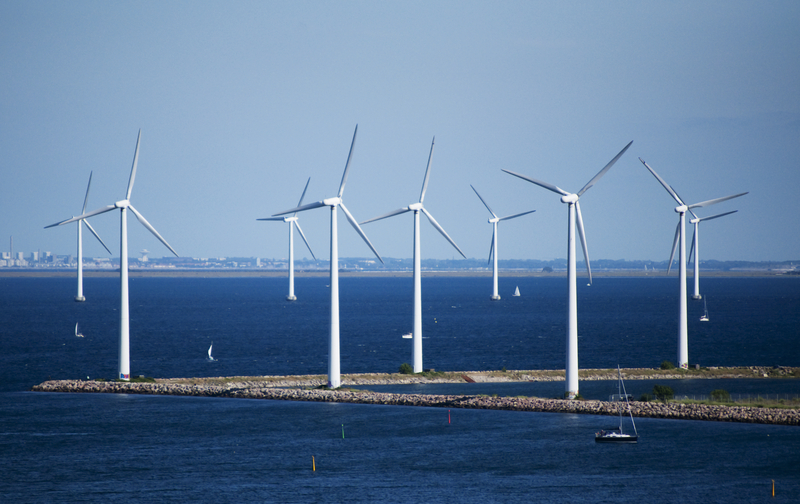 What attracted me to Denmark was the amount of renewable initiatives and the political will to be sustainable. Danish society, in general, is far more invested in the health of their environment than other countries in the world. They bike, they build wind farms, take on solar panelled-road initiatives, and use localized, combined heat and power stations to reduce the country’s entire energy consumption by 11%! 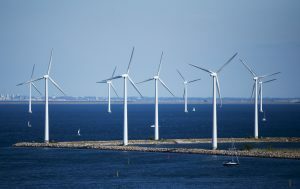 One of the major manufacturer of wind turbines, Siemens Wind Power, was founded in Denmark, and still is still headquarter there. The numerous advancements in renewable energy closely relates to my career goals and is the essential reason I chose to go on exchange in Denmark. Aside from specific educational and career benefits, you should consider applying to go on exchange for the international experience. You will get to meet tons of exchange students from across the world. This is a great chance to build an international network of future engineers. Since engineering is about finding innovative solutions, the more diverse perspectives you get to know, the better! Studying and sharing intellectual conversations with an international community will broaden your scope of education. And of course, travelling around Europe has always been my dream. So how else to better immerse yourself in Europe’s fine culture, cuisine, history and sites than a 5 month stay? As you can see, this exchange opportunity is truly priceless. So you’ve decided exchange is right for you, but at there are so many AMAZING institutes to choose from! Here’s the kind of research you should be doing. To select the right institution, you should look at the courses and teaching structure they provide. CIE provides useful course mappings here. Each course mapping provides a side-by-side list of UBC and the international institution courses that match. A simple google search of the partner institution is always a sure way to access and explore their course database. If you want a more personal touch, attend the information sessions hosted by CIE and the partner institution. This year, the National University of Singapore and Denmark Technical University (DTU) hosted. At the DTU info session, I was able to get to know their International Affairs Officer. Their advice also encouraged me to register in courses outside CIE’s referred ones. Furthermore, I found out that DTU has a non-hierarchical style of teaching that highly encourages lecturer-student and student-student collaboration. Most of their courses are hands-on and project-based. Once your project is finished, there’s a chance to compete in the International Gron Dyst Competition! This is what sealed the deal for me. In terms of application boosters, you should try to build your application like a cover letter. You want to emphasize your fit. Since DTU has a heavy emphasis on sustainability and interdisciplinary learning, I wrote about creating a sustainability venture with Engineers without Borders, and the interdisciplinary communication skills I have gained through working as a project manager assistant at Vancouver International Airport. Another key aspect about cover letters is showing your interest/ passion for what your employer does. Talk about how the institute you chose stood out from the rest. A little flattery always goes a long way! If you have any questions or just want to chat, please comment below!